"Today, we're proud to announce new versions of the blockbuster detective thriller L.A. Noire, are scheduled to release on November 14, 2017 for Nintendo Switch, PlayStation 4 and Xbox One. Alongside these three new console versions, we're taking our first steps into virtual reality with L.A. Noire: The VR Case Files, featuring seven select cases from the original game rebuilt specifically for a virtual reality experience on the HTC VIVE. 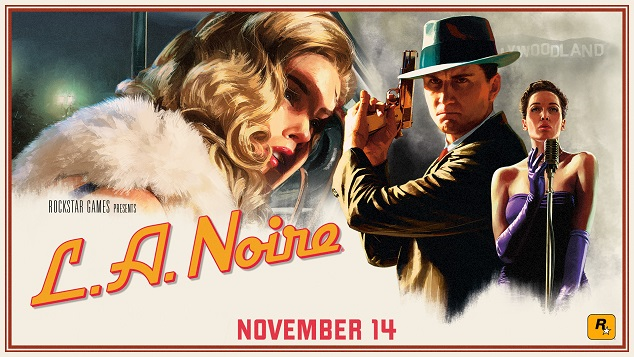 Set against the seedy and violent underbelly of 1940’s Los Angeles, L.A. Noire is the story of decorated veteran and newly minted detective Cole Phelps as he investigates an escalating series of cases inspired by real-world crimes. Each successfully solved case brings Phelps greater success, but also brings him closer to the dark criminal heart of post-war L.A."
For more information, visit the updated website at rockstargames.com/lanoire and keep an eye out for more from L.A. Noire: The VR Case Files and L.A. Noire for the Nintendo Switch, PlayStation 4 and Xbox One in the weeks ahead. Awesome! Hit up the GTA V forums!